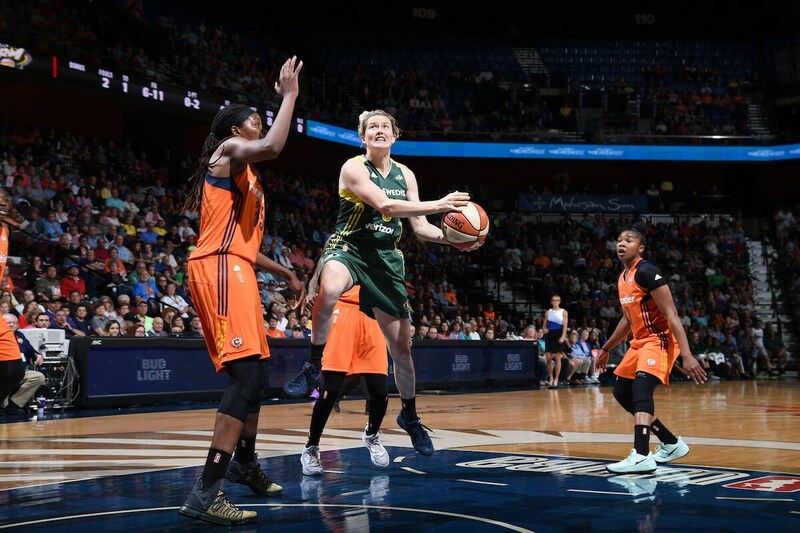 UNCASVILLE, CT - AUGUST 8: Sami Whitcomb #3 of the Seattle Storm goes for a lay up against the Connecticut Sun on August 8, 2017 at the Mohegan Sun Arena in Uncasville, Connecticut. 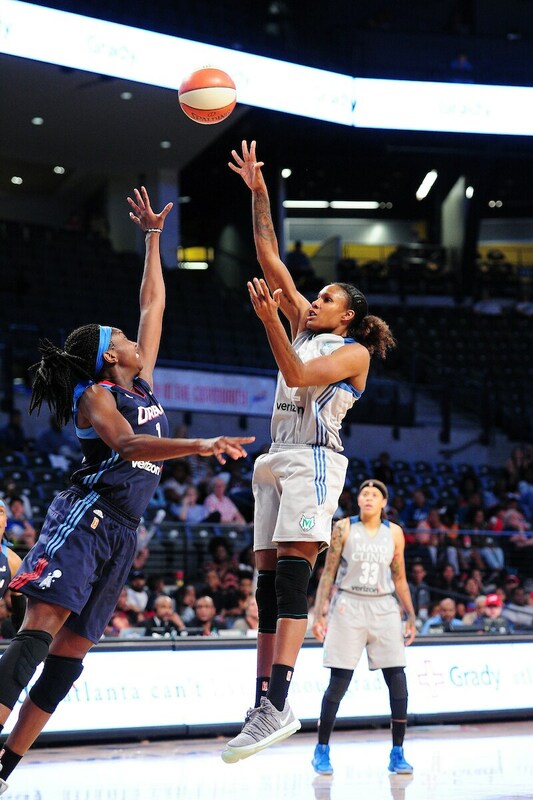 ATLANTA, GA - AUGUST 8: Rebekkah Brunson #32 of the Minnesota Lynx shoots the ball during the game against the Atlanta Dream during at WNBA game on August 8, 2017 at Hank McCamish Pavilion in Atlanta, Georgia. 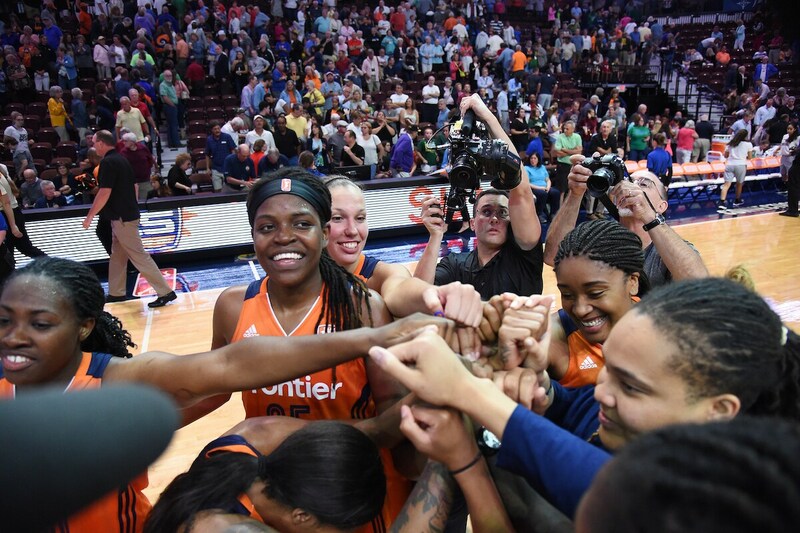 UNCASVILLE, CT - AUGUST 8: Jonquel Jones #35 of the Connecticut Sun with teammates celebrate a win against the Seattle Storm on August 8, 2017 at the Mohegan Sun Arena in Uncasville, Connecticut. 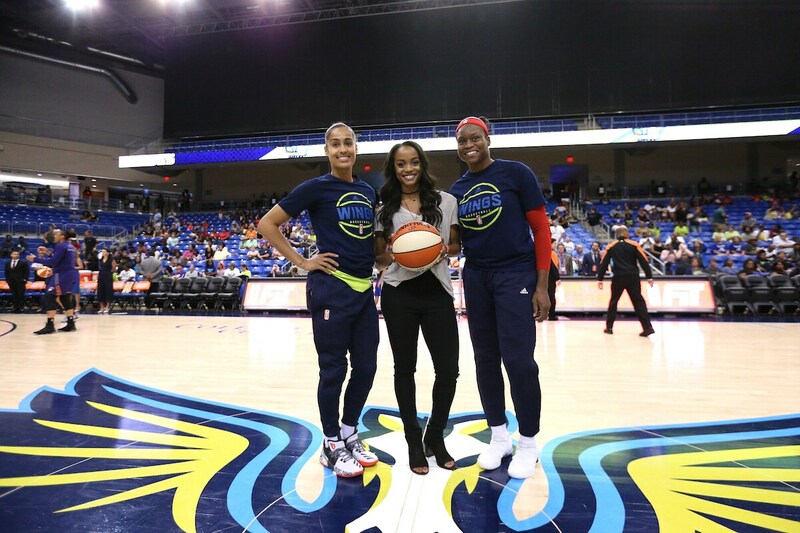 ARLINGTON, TX - AUGUST 10: Skylar Diggins-Smith #4 and Karima Christmas-Kelly #13 of the Dallas Wings pose with Dallas native and latest Bachelorette, Rachel Lindsay, the guest of honor at the game against the Phoenix Mercury on August 10, 2017 at College Park Center in Arlington, Texas. Lindsay will be joined by her fiancée, Bryan Abasolo, in one of the couple's first public appearances. 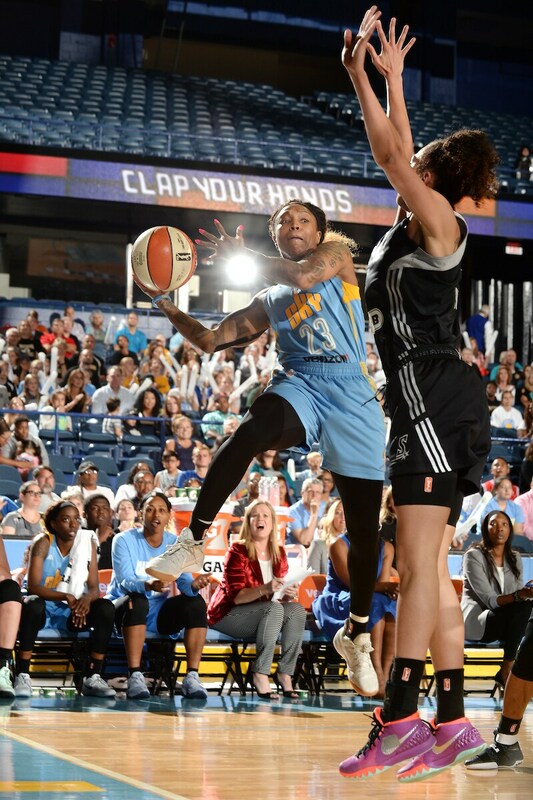 ROSEMONT, IL- AUGUST 10: Cappie Pondexter #23 of the Chicago Sky goes for a lay up against the San Antonio Stars on August 10, 2017 at the Allstate Arena in Rosemont, Illinois. 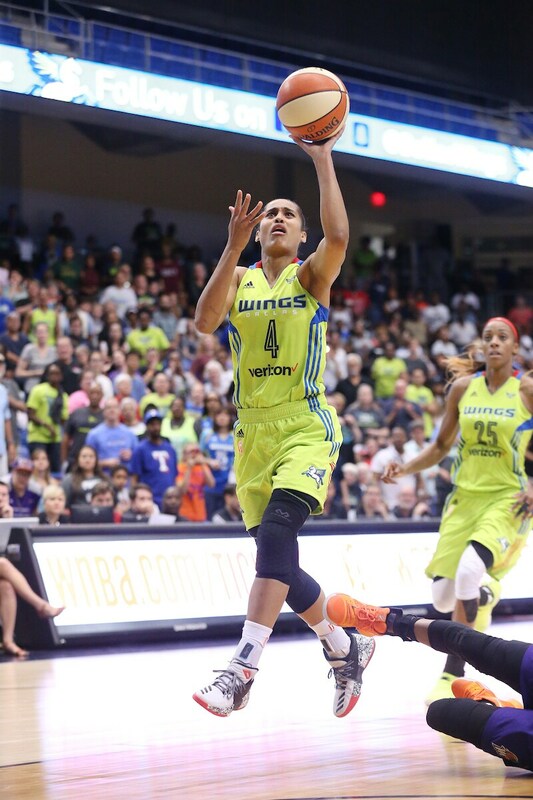 ARLINGTON, TX - AUGUST 10: Skylar Diggins-Smith #4 of the Dallas Wings handles the ball against the Phoenix Mercury on August 10, 2017 at College Park Center in Arlington, Texas. ARLINGTON, TX - AUGUST 10: Skylar Diggins-Smith #4 of the Dallas Wings shoots the ball against the Phoenix Mercury on August 10, 2017 at College Park Center in Arlington, Texas. 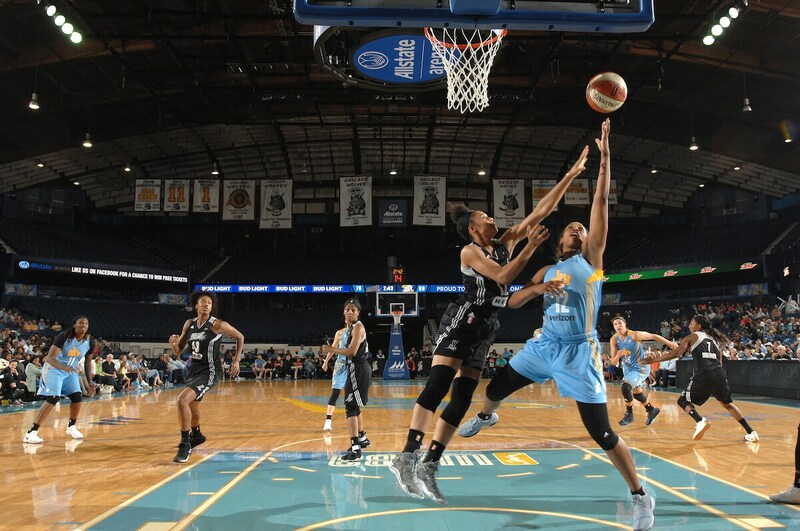 ROSEMONT, IL- AUGUST 10: Bashaara Graves #12 of the Chicago Sky shoots the ball against the San Antonio Stars on August 10, 2017 at the Allstate Arena in Rosemont, Illinois. 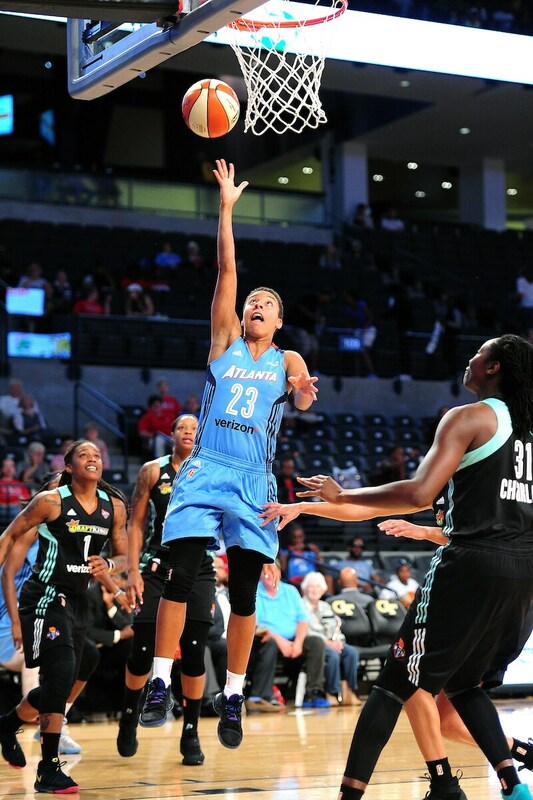 ATLANTA, GA - AUGUST 11: Layshia Clarendon #23 of the Atlanta Dream shoots a lay up during the game against the New York Liberty during at WNBA game on August 11, 2017 at Hank McCamish Pavilion in Atlanta, Georgia. 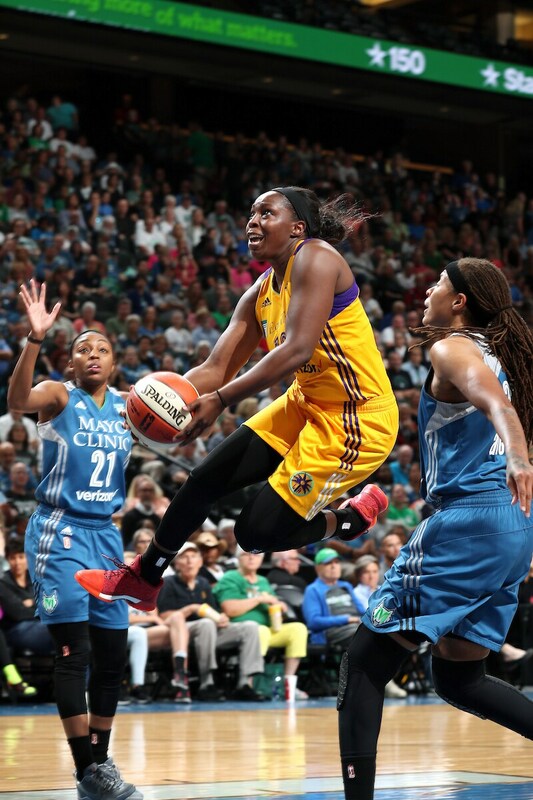 ST. PAUL, MN - AUGUST 11: Chelsea Gray #12 of the Los Angeles Sparks goes for a lay up during the game against the Minnesota Lynx during a WNBA game on August 11, 2017 at Xcel Energy Center in Saint Paul, Minnesota. 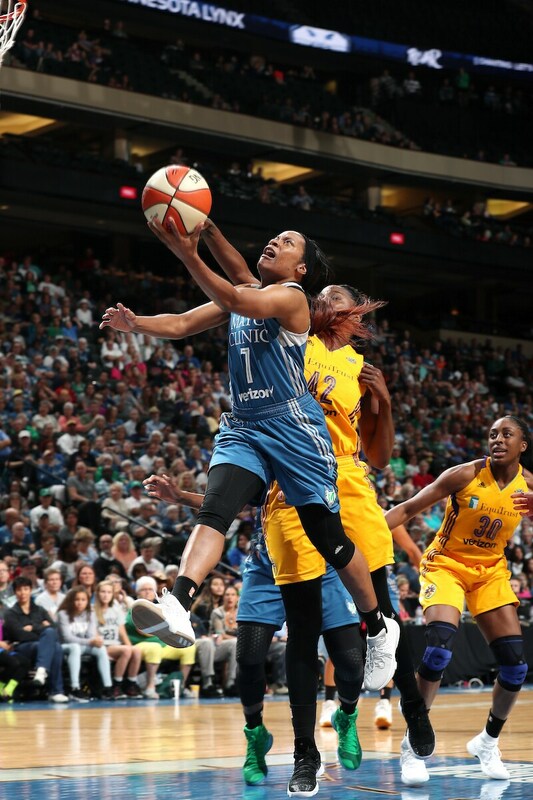 ST. PAUL, MN - AUGUST 11: Jia Perkins #7 of the Minnesota Lynx shoots a lay up during the game against the Los Angeles Sparks during a WNBA game on August 11, 2017 at Xcel Energy Center in Saint Paul, Minnesota. 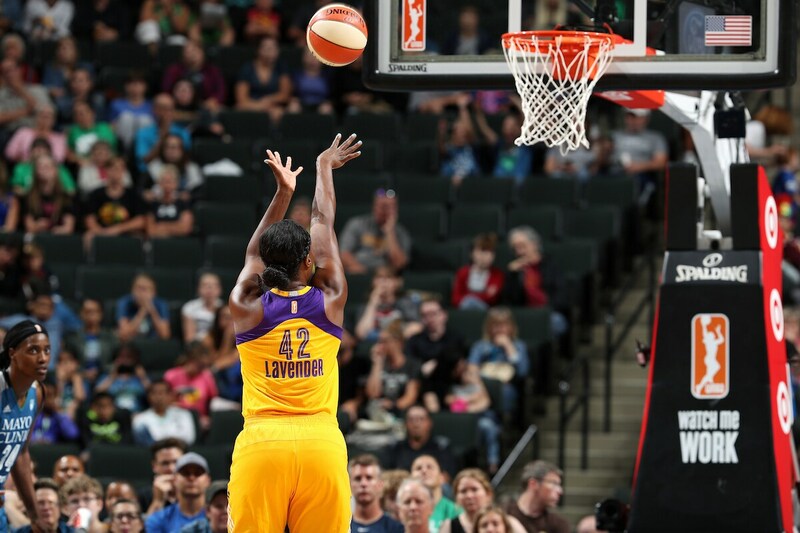 ST. PAUL, MN - AUGUST 11: Jantel Lavender #42 of the Los Angeles Sparks shoots a free throw during the game against the Minnesota Lynx during a WNBA game on August 11, 2017 at Xcel Energy Center in Saint Paul, Minnesota. 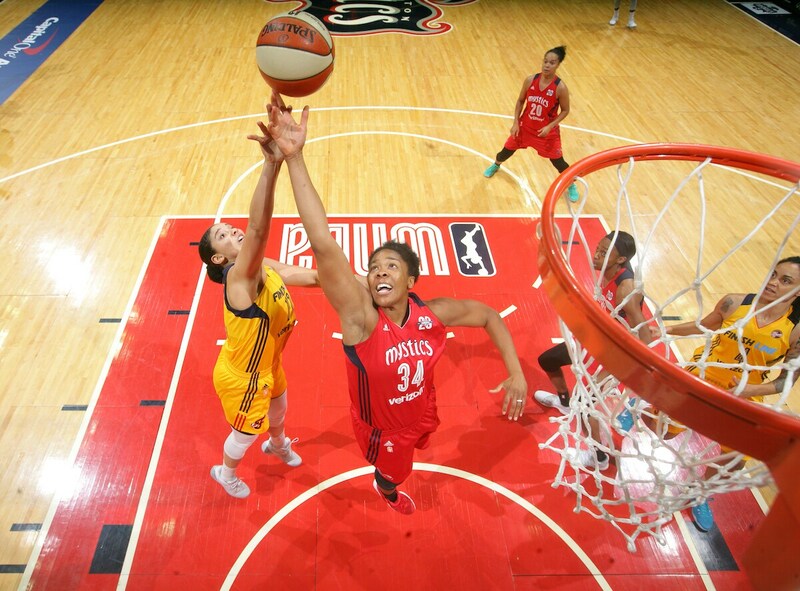 WASHINGTON, DC - AUGUST 12: Krystal Thomas #34 of the Washington Mystics shoots the ball against the Indiana Fever on August 12, 2017 at the Verizon Center in Washington, DC. 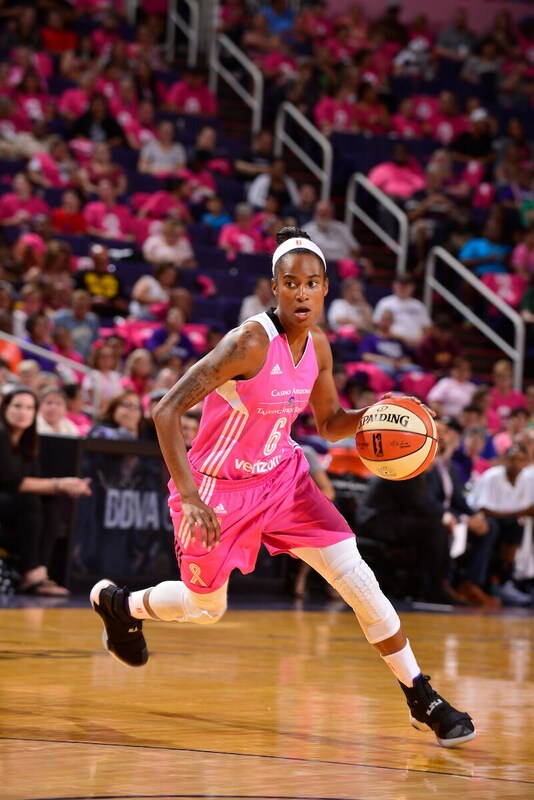 PHOENIX, AZ - AUGUST 12: Yvonne Turner #6 of the Phoenix Mercury handles the ball against the Seattle Storm on August 12, 2017 at Talking Stick Resort Arena in Phoenix, Arizona. 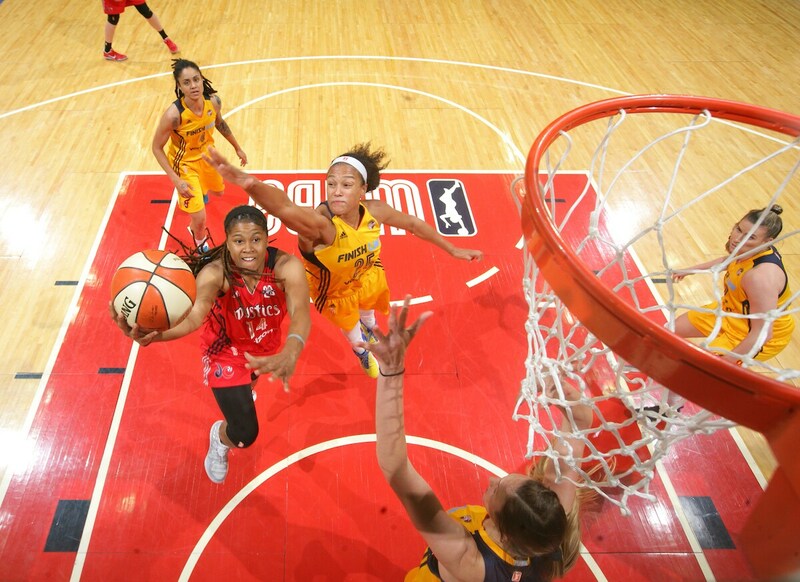 WASHINGTON, DC - AUGUST 12: Tierra Ruffin-Pratt #14 of the Washington Mystics shoots a lay up against the Indiana Fever on August 12, 2017 at the Verizon Center in Washington, DC. 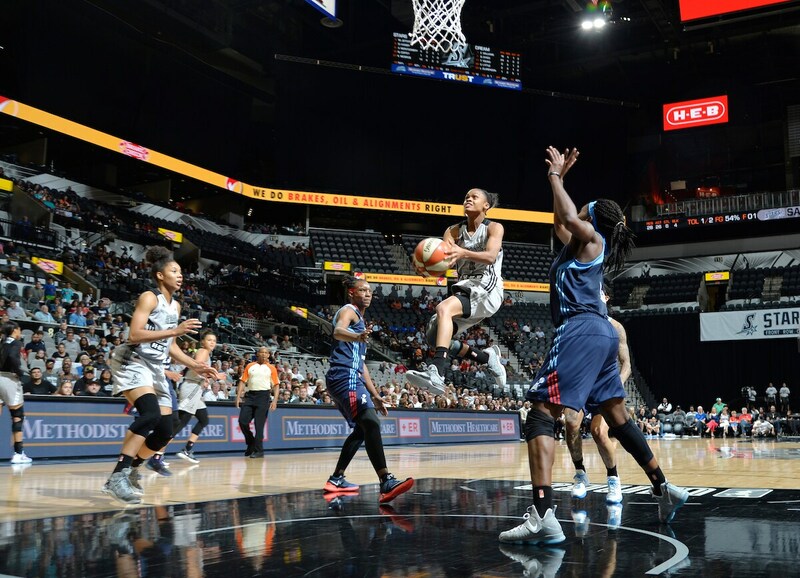 SAN ANTONIO, TX - AUGUST 12: Moriah Jefferson #4 of the San Antonio Stars shoots a lay up against the Atlanta Dream on August 12, 2017 at the AT&T Center in San Antonio, Texas. 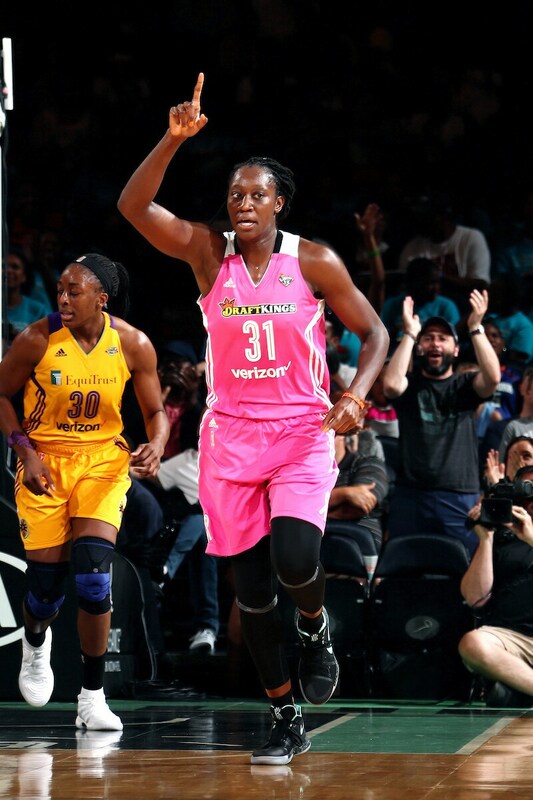 NEW YORK, NY - AUGUST 13: Tina Charles #31 of the New York Liberty reacts during the game against the Los Angeles Sparks during a WNBA game at Madison Square Garden in New York City, New York on August 13, 2017.